Helps organizations wanting to be successful by reducing stress through laughter. 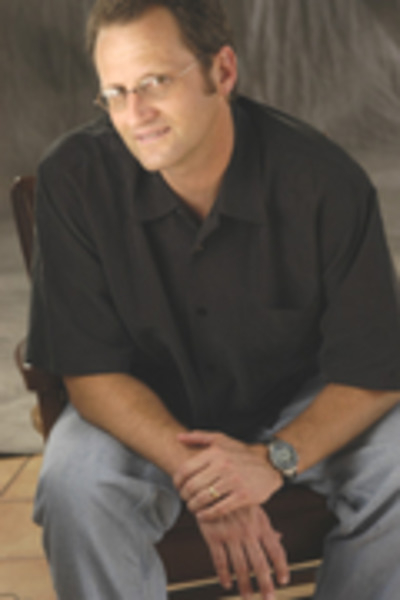 Kent Rader is a professional speaker, author, and comedian. He helps companies and associations wanting to be successful by reducing stress through laughter. Having spent twelve years as CFO and CEO of hospitals and five years in public accounting, Kent has experienced the stress of today's business world first hand. In 1998 Kent became a professional speaker so he could share the importance of laughter in combating stress. "Regardless of the source of my stress, whether it be work or home," Kent says, "humor seemed to be an important tactic to changing my perspective." Kent found his true calling when he began to help people reduce stress by making them laugh. Kent states, "I told my son after September 11, 2001, I was born to do this. I would rather die at 45 having made people laugh than live to be 100 doing accounting... but then, who wouldn't?" In 2002, Kent published his stress reduction book titled "Let It Go, Just Let It Go." Consumed with making people laugh, Kent began working in comedy clubs that same year in order to improve his already gifted sense of humor. Today Kent takes participants in a journey that audience members will not want to end. It begins with Kent showing people how the origins of their stressful feelings are derived and how humor is a proven tool in combating these feelings. He offers practical ways to include more humor in your life, along with stories that are guaranteed to make any audience laugh. Using Kent's recommendation produces genuine results like reducing stress, increased employee retention, improved creative problem solving skills, better cooperation and collaboration within a team or company, as well as making an organization more successful. One participant from a hospital may have said it best. "I laughed so hard, my face hurt! Aren't we lucky Kent chose to leave accounting to develop this wonderful gift?" This stress reduction keynote is Ken's most popular program. Audiences love this entertaining yet informative keynote. Recent surveys report that more than half of employees hate their jobs. The number one reason sited for this phenomenon is the stress associated with today's business environment. This program shows audiences the source of stressful feelings and how to combat them by including more humor in your life. This keynote program helps organizations build quality teams. Quality teams don't just happen, they are built from the top down! This program offers strategies for developing an environment that will enhance the collaborative process. Included are compassion, humor, high expectations, continuous quality improvement, and honesty. These ingredients build a creative environment, the "competitive advantage" for successful businesses during challenging economice times. This half-day program offers all of the information included in the keynote "Laughter Matters," along with other practical methods for dealing with emotional responses to situations that trigger stressful feelings. These include writing, compassion, family relationships, and remaining mindful. This stress reduction book outlines the "cause and effect" relationship of stress, guiding individuals in discovering that stress is an internal reaction to outside stimulus. It offers practical advice for redirecting thoughts towards the stimulus, rather than focusing on changing circumstances over which they may have little, if any, control. The book delves into the nature of creative problem-solving skills and how participants can easily learn to tap into these at any time.